Treated pine is a relatively soft timber and is vulnerable to twisting and buckling when exposed to direct sunlight, because of this we recommend that you paint over the panels like many of our customers. This will maximise the durability of the product and will enhance the image of it too. These screens are ideal for creating a vertical fence, as you won’t notice any joins when putting the panels up. They can be used very effectively to increase the height of your fence which provides you with more privacy and security and may help you appease council or pool regulators. 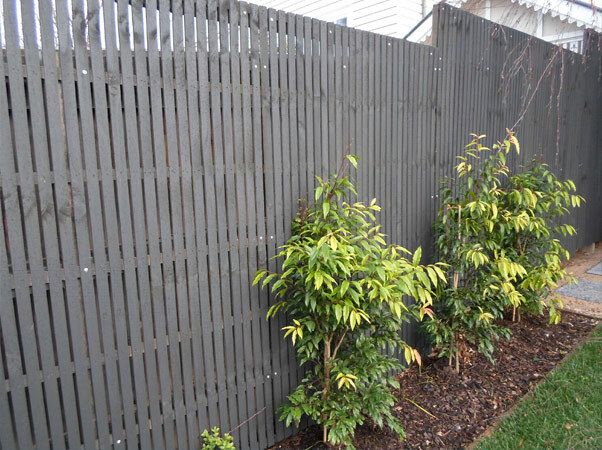 These screens are also suitable for covering up existing old paling or unsightly colour bond fences. As we make to measure in these type of screens it often makes it more convenient for customers as it is easier to install. We can make to size in this profile. With a 10mm spacing the cost works out at $22 per m2. With a 6mm spacing the cost works out at $24 per m2. Please note we only make panels up to 1200mm wide on our 10mm profile and up to 900mm on our 6mm profile. This is not a stocked product. We make these panels to order. The lead time will depend on how many panels you are after, the size of the panels and how busy we are at the time. Below is a table to give you a rough indication of lead times. If you are interested in installation please contact us and we can arrange one of the tradesmen we work with to provide you with a free no obligation quote.